Thanksgiving is a time of year to spend with family and close friends: Gathering together for festivities and feasts to appreciate the wonders of giving and being thankful. How is your family celebrating Thanksgiving Day this year? 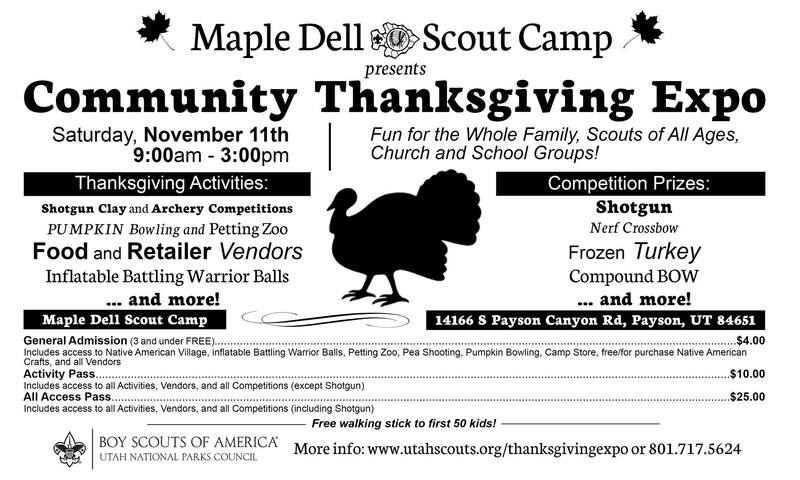 Why not enjoy the spirit of giving at Maple Dell Scout Camp during the first annual Community Thanksgiving Expo? Maple Dell Scout Camp's first annual Community Thanksgiving Expo. A family-friendly event that focuses on the great day of thanks! Families, church groups, school groups, all aged Scouts, and everyone in between. $4.00/person: General Admission to Native American Village, inflatable Battle balls, Petting Zoo, Pea Shooting, Pumpkin Bowling, Camp Store, and all vendors. $10.00/person: Price includes all activities/competitions except shotgun shooting and access to all vendors. 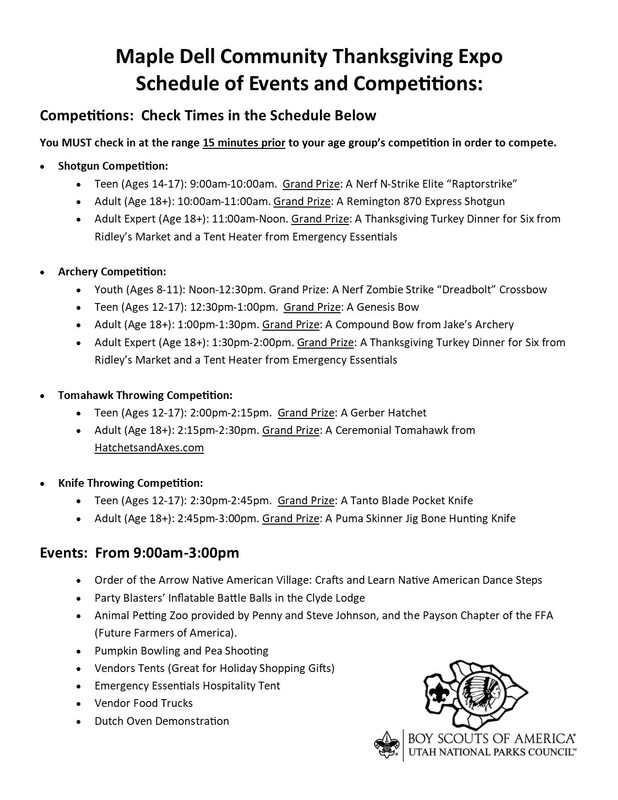 $25.00/person: Price includes all activities/competitions with shotgun shooting and all vendors. Must be twelve years of age or older. Children age three and under are free. No need to register! Tickets are available to purchase at the camp's Trading Post upon arrive. Free Walking Stick to first 50 kids! For more information contact Dave Johnson at 801.717.5624.